After an extended absence and some line-up changes, Toronto's The Golden Dogs are returning revitalized and with a new album in hand. Their record, 3 1/2, is set to come out on February 17th. They kick things off in style with "Decided". The songs seamlessly integrates soul/funk with expansive guitar riffs. That vibe doesn't last long. The group strikes up slick, Cars-inspired New Wave pop for "Pretending". With "Parade" they manage to make a hook-filled track that sounds like it should come from a group with twice as many members in it. The vocal duties are traded off between Dave Azzolini and Jessica Grassia. It's Grassia's vocals that make "Do It For You" such a catchy tune. She interjects during the chorus of the Azzolini-led "Feel Like a Bridge", adding an irresistible dynamic. The lone miss is "Spider Legs", a track that features a little too much noodling to be fully embraced. You should definitely seek out the version with the bonus track. Grassia croons a relatively straightforward cover of The Lemonheads' "My Drug Buddy". Needless to say, it's great to have The Golden Dogs back. 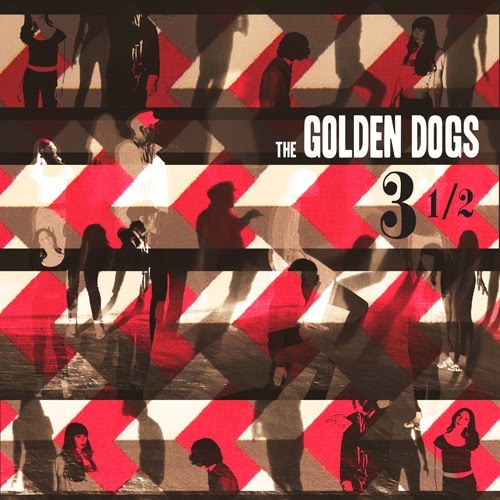 The Golden Dogs play the Rivoli in Toronto on February 21st. Best tracks: "Do It For You", "Feel Like a Bridge"